Players can now battle against the World Boss, a massive giant, bigger and more powerful than the giants found in the Cairos Dungeon. Each player can use 20 monsters to attack the Boss. Players will be ranked based on damage dealt and treasure boxes will be rewarded accordingly. The release of the long-awaited Rift of Worlds will introduce a three-headed Raid Boss. Teams of three players can be formed to combat the Boss together in real time; each player attacking one of the heads. This new feature allows players to share leader skills and harmful effects and ban together to create strategic battle formations. A new Rune Enchantment feature allows players to amplify or convert properties of existing Runes by acquiring special gems and grindstones featured in the new boss content. New skins will be released for several popular monsters, including Vampire, Valkyrja, and Pixie. Skins will be available for all elements of each character. Summoners War first teased the Rift of Worlds as a locked segment of the Battle Map with its global launch in June 2014. Since then, the game has seen steady widespread success and has amassed over 50 million downloads worldwide. 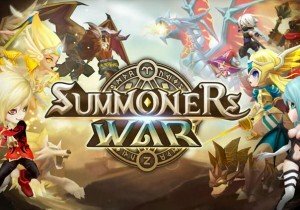 Com2us has opened a preregistration event where users can sign up to obtain in-game items including a Mystical Scroll and a collection of Angelmons upon release of the update. OGPlanet is relaunching Red Stone into Open Beta on June 29. The game is a 2D fantasy MMORPG. TERA first launched on PC on May 1st, 2012 and continues to go strong with consistent, engaging content.